According to stuff, the Dominators are the villains for this CW season's Arrow/Flash/Legends/Supergirl crossover. I haven't read any mainstream stories with them, but here's one about them from the DCAU. Featuring: democracy in the face of intergalactic racists, Green Lantern incapable of number comparison, and Phonetically Adorbs Missile Firing Noises! Not featured: the absence of a "Mr. Lau from The Dark Knight" reference. Every interest, every hobby, every fetish has to start somewhere. And it was such a quiet, innocent day in a bookstore when I came across a comic that I would only later identify as Justice League Adventures #17. Now, back then, superhero comics were pretty much the last thing on my mind. I recognized most of the really iconic heroes - mostly in their Timmverse incarnations - but I was primarily invested in Tintin comics, along with a stipend of Chinese-translated Disney comics that my grandparents would mail over from The People's Republic every few months. There was something about this one though, that just made me want to pick it up. Fast-forward ten years, and I'm now neck-deep in a den of debauchery involving (amongst other things) homicidal clowns, mute ninja Batgirls, and X-rated fanfiction about people who insist on putting their underwear outside of their pants. And you know what? I wouldn't have it any other way. 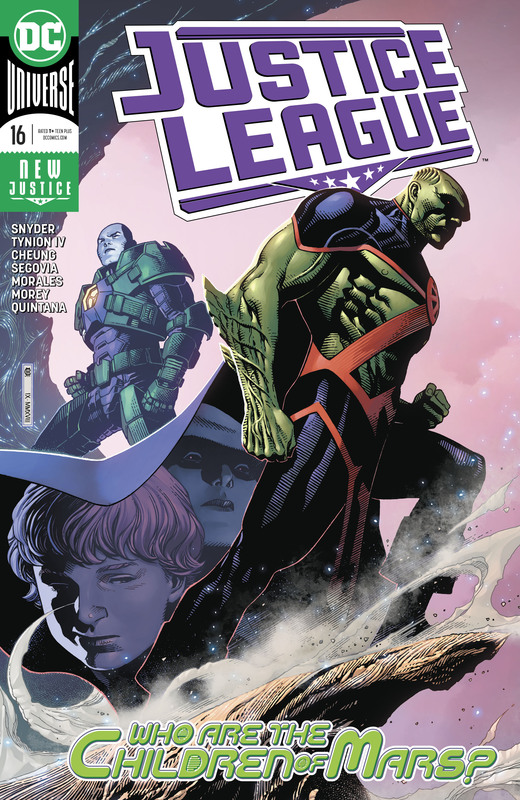 In retrospect, this particular comic isn't really much of a keeper - the story's kinda goofy and shallow, especially in comparison with the kind of tie-in comics that previous DCAU properties, like Batman: The Animated Series, got. 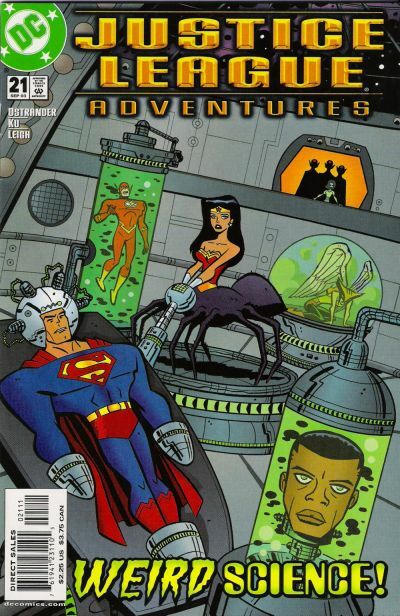 General consensus around the 'net also seems to be that the quality of the DCAU tie-in comics slowly went down the toilet as time went on, with the ones for Justice League Unlimited truly hitting the bottom of the barrel. Anyone who cares to comment on this part, please do! But enough about that. On with this tribute the the one that started it all. So, in the Beyond Comics, Warhawk's origins are explained. We already got the Death of DCUA Vixen, well the down notes continue to play. Not NSFW per se, but avoid if squemish or a Hawkman fan. In this issue Psycho Pirate took control of a city's emotions. He also manipulated the emotions of the League. A lot of funny and some really wrong stuff happens. If your a DCAU Batman/Wonder Woman fan then you'll love this. Also it's official in JL (not JLU) Batman is pushing 50. That means the 40 years later of Batman beyond Bruce has to be 90. He would be 70 or so when he retires at the begining of "Rebirth part 1". Here's some of the choice scans of the Psycho Pirate story in the Justice League Adventures 12 (due to popular demand).